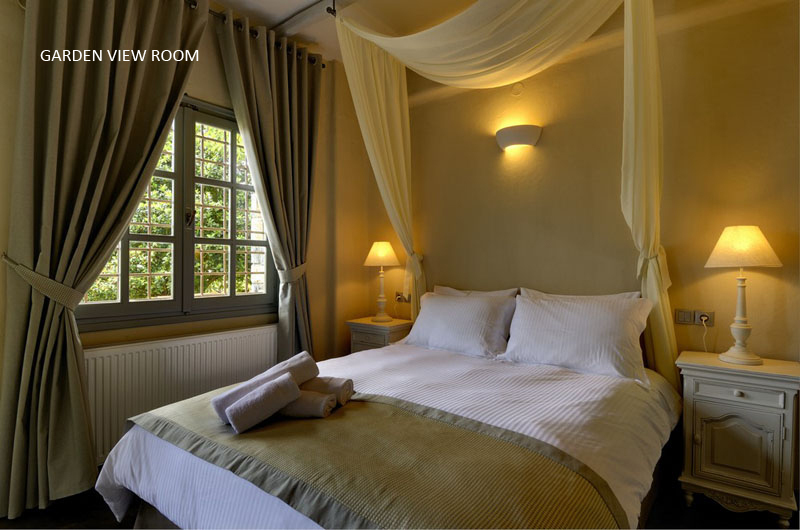 Set in a perfect commanding position just above Damouchari and Papa Nero, the Agapitos Guest House epitomizes the timeless quality of this incredibly beautiful corner of Greece. 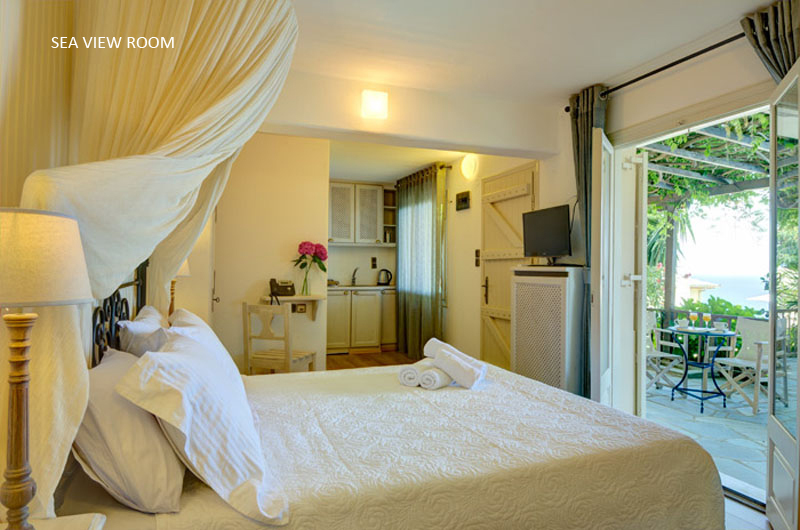 The breath-taking panorama extends around this area of dramatic natural beauty, the turquoise azure coastline contrasts with verdant hillsides and dark mysterious mountains creating a perfect backdrop to this exquisite and unique boutique hotel. 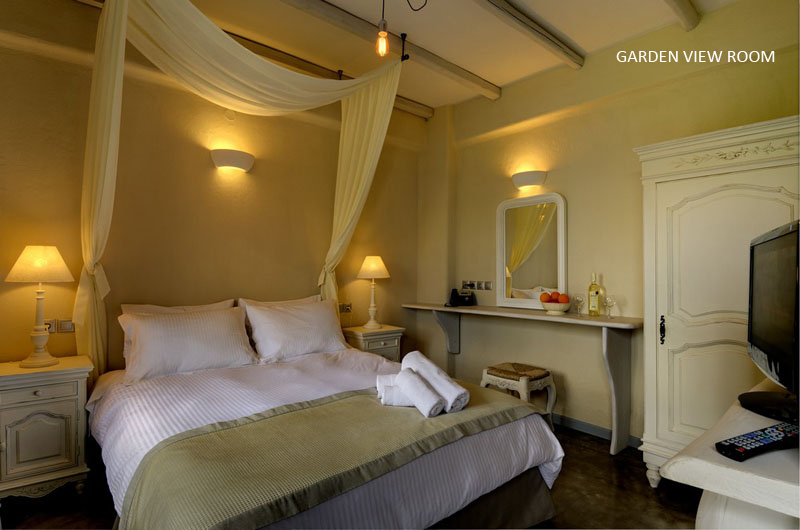 Sensitively constructed using a combination of traditional and elegant design, the buildings blend harmoniously into the surrounding landscape The Agapitos Guest House is made up the stylish and comfortable bedrooms that are beautifully decorated with neo-classical furniture and elegant fabrics creating a unique ambience that is both refined yet totally relaxing. At the heart of the hotel is the “El- Restro”, where you can enjoy mouth-watering Greek dishes prepared by award-winning chefs. 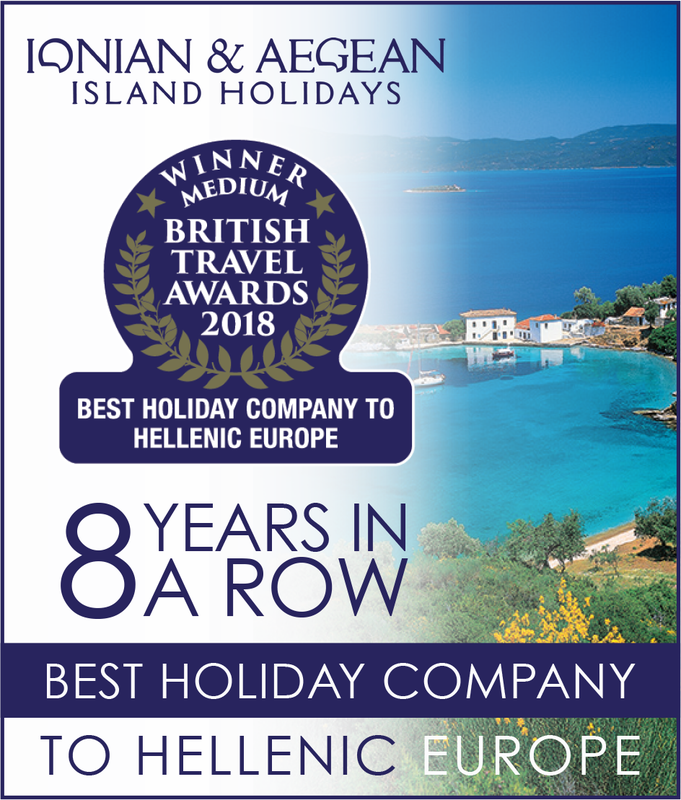 The restaurant is undoubtedly one of the finest in the area offering high quality Greek cuisine, imaginative dishes all prepared in an innovate and unique style. Picturesque Agios Ioannis, just a few minutes’ drive away, has a wide selection of beach tavernas and bars as well as well-stocked mini-markets. Within easy reach are the famous ‘kalderimia’ or mule trails, many now restored. Adventurous walks up dramatic gorges where the trees and limestone crags fight for supremacy, or gentle strolls across the shaded hillsides, the choice is yours. 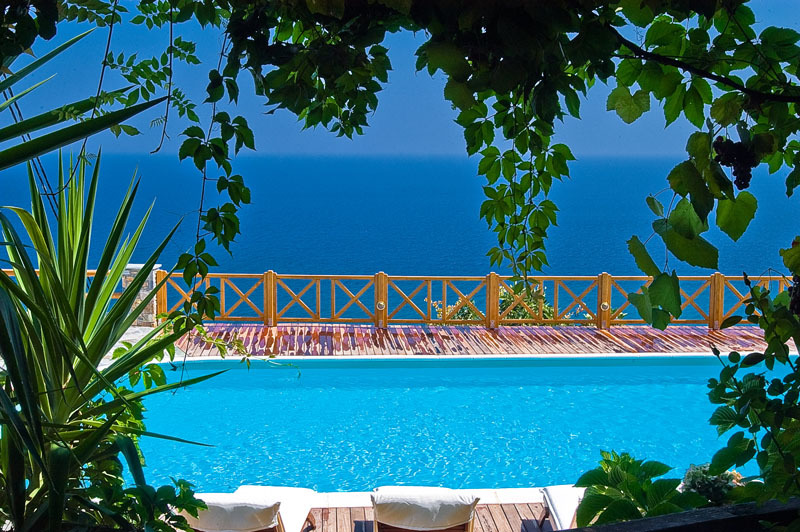 Greece is a world to itself and the Pelion is a world within a world. Agapitos is simply a wonderful place to sit back and relax in a stunning location. N.B. 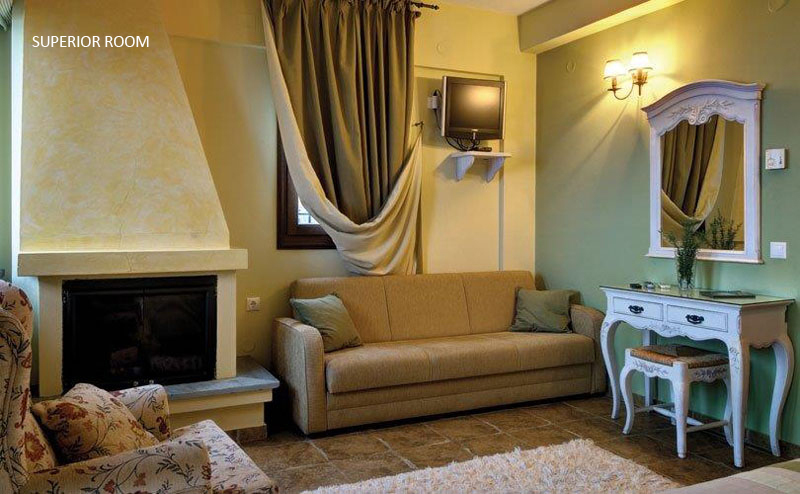 : The Agapitos Guesthouse is set over two levels (separated by the road) and there are lots of steps, therefore this property may not be suitable for those with walking or mobility difficulties. N.B. : Full restaurant facilities may not be available early or late season. 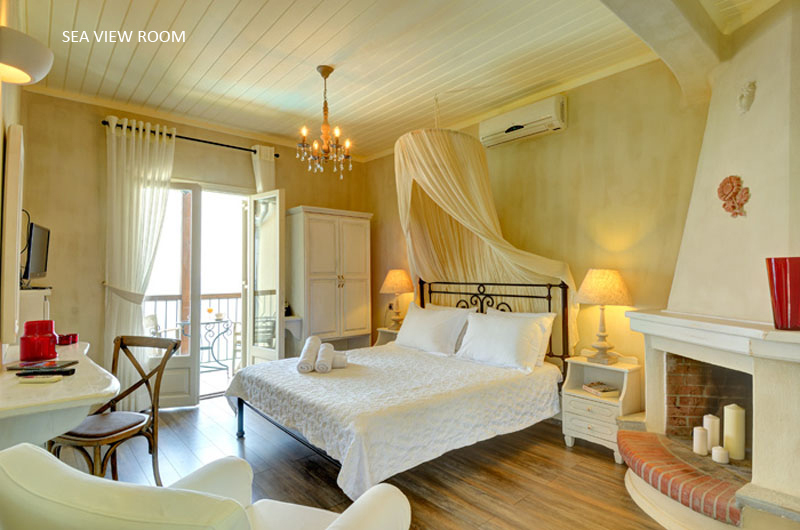 • Superior rooms: Sleeps 2 (28–32 sqm). Sea view. Fireplace. 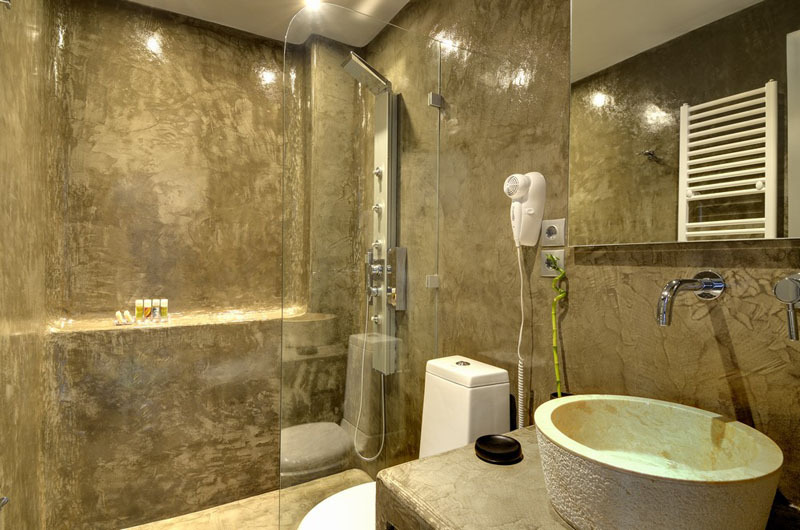 Shower and bath. 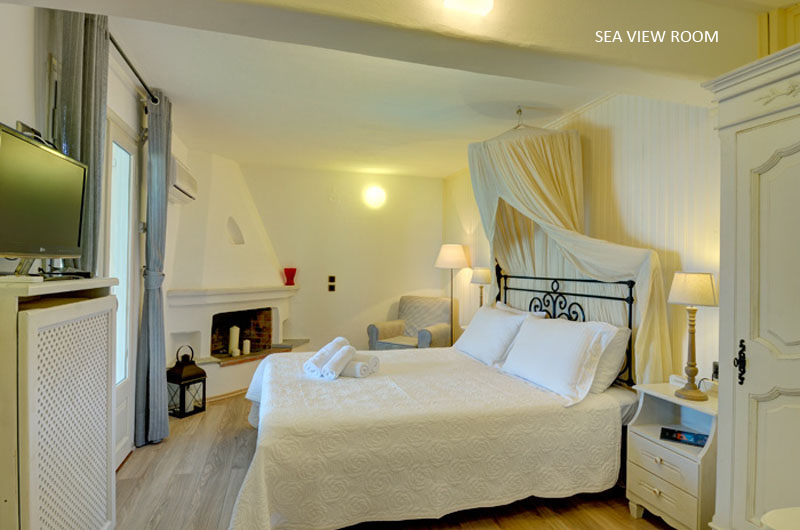 • Sea view rooms: Sleeps 2 (20–22 sqm). Sea view. Fireplace.